Henry Webb has achieved four A* grades at A Level. 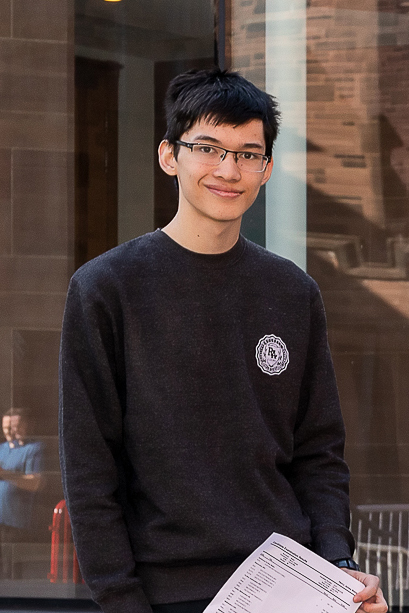 Henry is from Lathom and attended Bolton School Boys’ Division where he studied Electronics, Physics, Mathematics and Further Mathematics, achieving A*s in all four subjects. Henry also received an A grade at AS Level in Further Mathematics (Additional). Henry is one of the Bolton School Boys’ Division high-flyers: three other students came away with at least three A* grades and five students will go on to study at Oxford or Cambridge. This year the school celebrated some of the best A Level results in a decade. 52.4% of papers were marked at A*-A and almost four out of five (79.5%) were graded at A*-B. The percentage of students with facilitating grades of ABB or better, which allow access to the top universities, also improved, up to 60% from 55% last year.